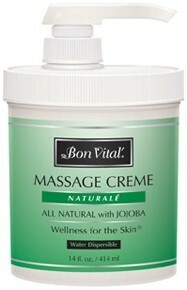 Bon Vital Massage Lotion is a blend of plant extracts, vitamins, and oils in an enriched lotion. 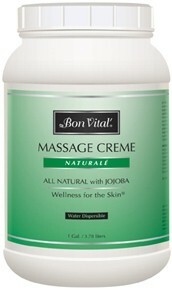 This Skin Care Massage Lotion is designed to achieve optimum results while massaging. 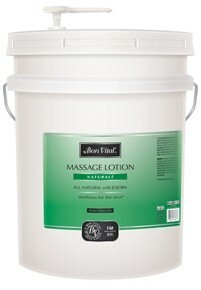 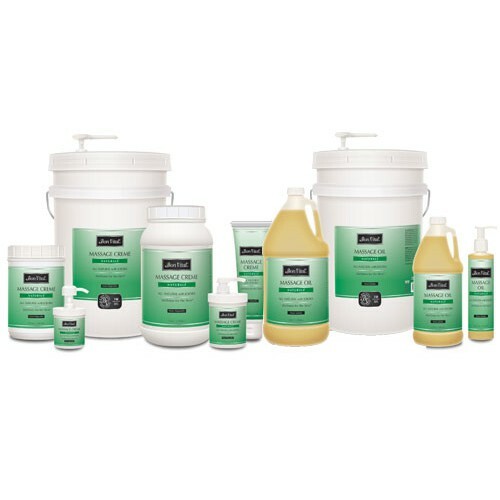 Massage Accessory Lotions by Bon Vital have to perfect balance of moisture, so that there is no residue left behind. 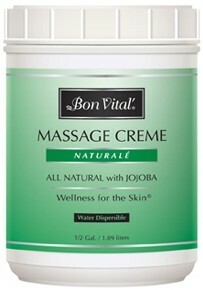 These Naturale Lotions are paraben free to reduce the risk of allergic reactions. 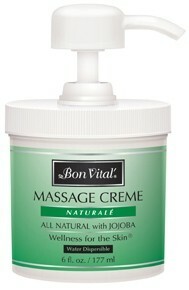 This massage oil works much better than the other natural brands that I've tried.